Round table meetings that enable scientists and policy makers to have extensive discussions and feedback. One-on-one meetings with specific policy makers that create opportunities for the Center to deliver messages effectively. Reaching out the key parliamentary committees such as the Agricultural Committee, the Education Committee, as well as the Health Committee. Seeing-is-believing study tours that enable policy makers to have a first-hand encounter with biotech crops. ‘Biotech Corners’ within parliamentary libraries that enable the Center to distribute information, education and communication (IEC) material on biotechnology and biosafety. Peer-to-peer learning where policy makers get to meet and engage with their peers from biotech adopter nations and learn from their lessons, as well as understand the opportunities and constraints these countries have faced. Passage of the Biosafety Bill in Kenya. Between 2004 and 2009, AfriCenter and her partners under the Kenya Biotechnology and Biosafety Consortium (KBBC) worked behind the scenes to spearhead the outreach and advocacy campaign for the bill while in its development stages. The organizations played catalytic roles in organizing traveling workshops for parliamentarians and high level policy makers, and in the development of materials that informed debate on the Biosafety Bill. 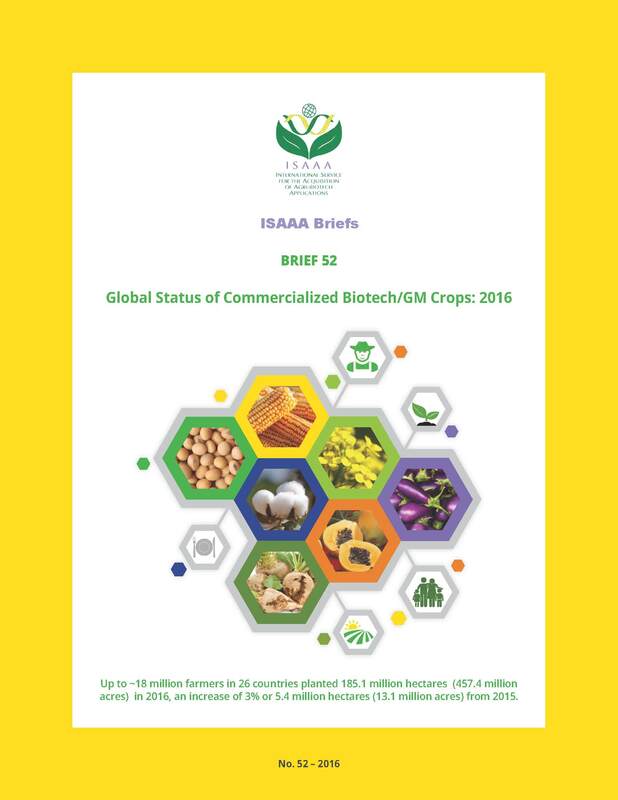 Demand for Biotechnology Products. Due to continued engagements with policy makers and key decision makers, the AfriCenter has created political will and buy-in from key decision makers who continue to exert pressure on Governments to commercialize biotechnology crops. Endorsement of the Regional Biosafety Guidelines by COMESA Organs. In 2004, the COMESA Secretariat partnered with the Policy Analysis and Advocacy Programme (PAAP) of the Association for Strengthening Agricultural Research in Eastern and Central Africa (ASARECA), the African Center for Technology Studies (ACTS), the Program for Biosafety Systems (PBS) and ISAAA AfriCenter to look into mechanisms of addressing biosafety issues at the regional level that would mitigate the potential impacts of genetically modified organisms (GMOs) on trade and food security. Following numerous engagements and deliberations with policy makers, technical experts and other stakeholders from COMESA member states, the policy guidelines were eventually endorsed in 2012.